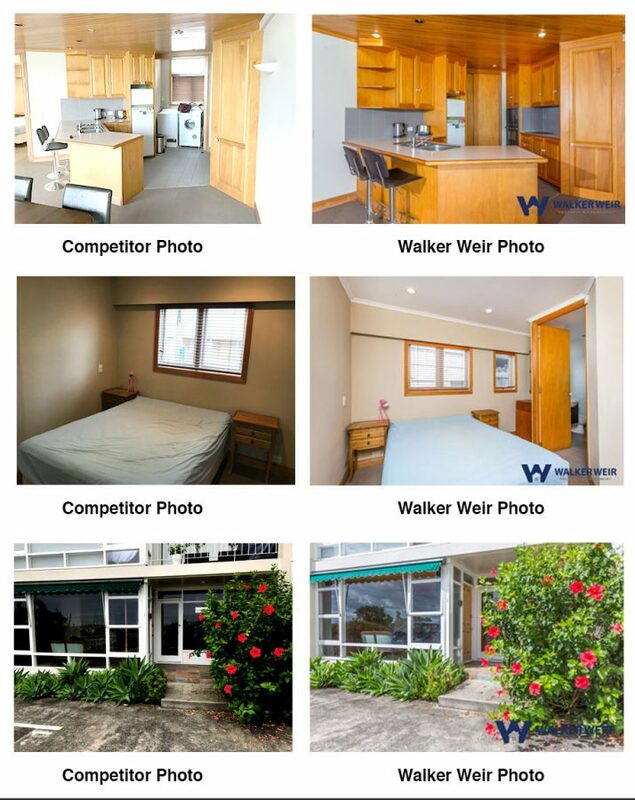 Walker Weir has the edge over its competitors when it comes to advertising your property for rent. 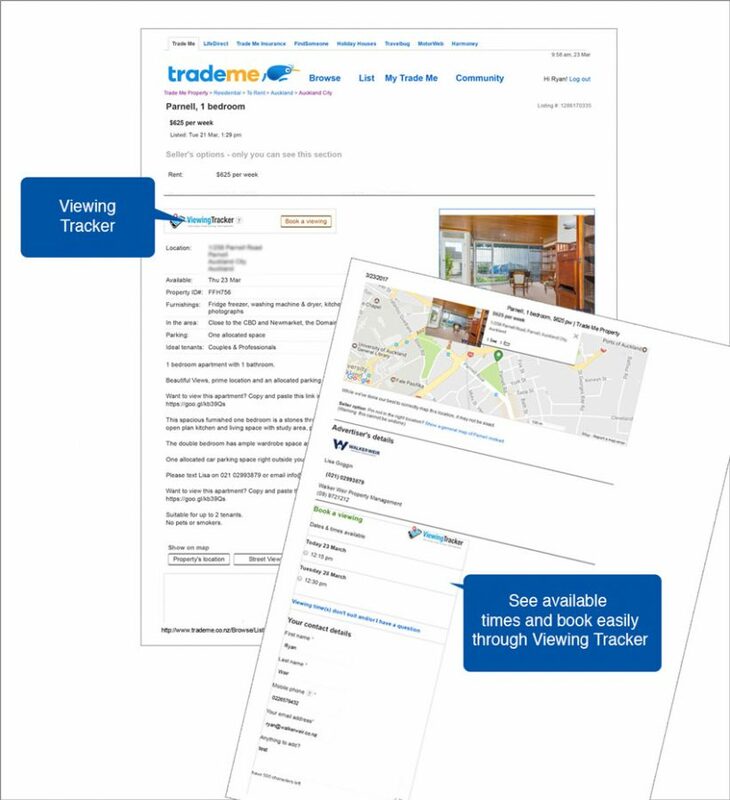 We use cutting edge systems which mean tenants can not only book in for viewings online but also apply for our properties online 24/7 without the inconvenience of having to print, scan and sign forms. Properties need to be advertised with good images. A poor photograph can lead to low levels of interest and poor turn out at viewings. With this in mind we put extra care into every photograph and make sure we get the best angles and high quality needed. You can see here how we compare to some of our top competitors. The difference speaks for it's self! 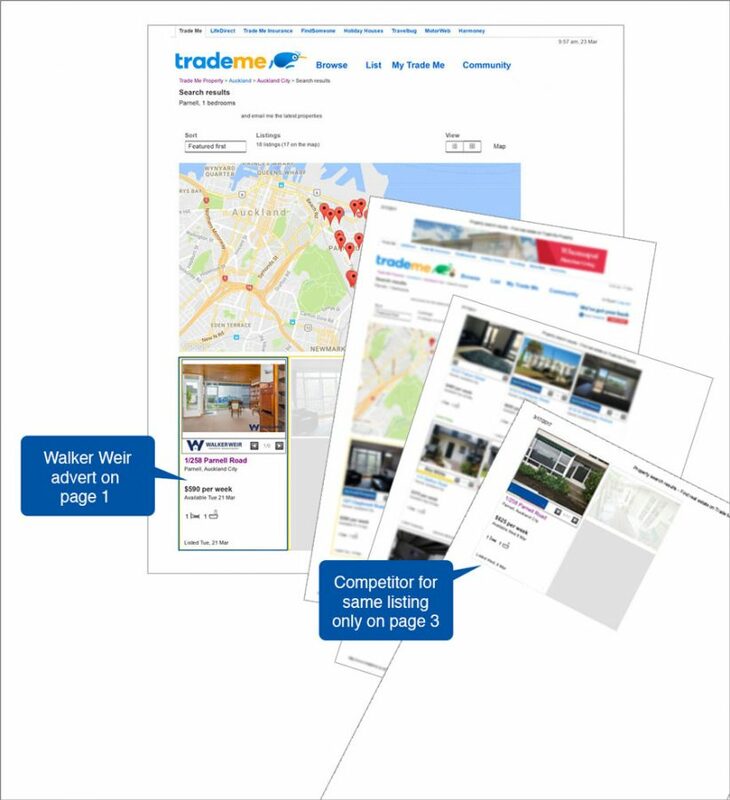 Another difference for your listing is the positioning on Trade Me. See below how our listing is number 1 on the list. Where as a competitor listing the same property was on page 3. Having your listing on page one will give you more page views and more interest in your property resulting in getting it rented faster. So if you are looking for property management that leads the way and puts your listing as a priority then get in touch either by phone Ryan on 0226579432 or by email at ryan@walkerweir.co.nz.